Described by European specialized press as “a superb ensemble” the re:orchestra is a passionate group with unique energy. 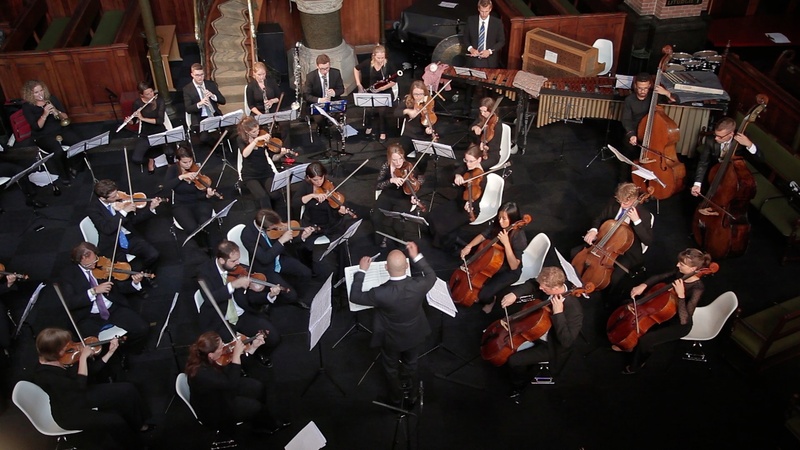 With musicians active in some of Europe’s foremost orchestras (Rotterdam Philharmonic, Dutch Radio Philharmonic, Frankfurt Opera Orchestra, Orchestre de Paris and Basel Symphony Orchestra) the re:orchestra yearly delivers exceptional performances at festivals and concert halls across Europe. Recent performances include concerts at the Kurhaus in Wiesbaden and de Doelen in Rotterdam, as well as appearances at the ISO Festival of Malta and the M4 Culture Festival in Crans Montana, Switzerland. Outstanding concerts, ground breaking multidisciplinary projects and a rocketing audience of young people have become the re:’s trademark. Convinced of their responsibility to create the best music possible together with a serious reflection on the alternatives to engage with modern society, on every season the orchestra’s main goal is to create and develop programs, concerts and multidisciplinary projects with daring and fresh ideas to popularize classical music.